On 23 November he goes to Minsk. 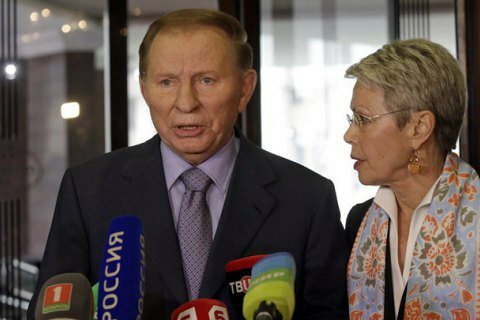 Leonid Kuchma will further represent Ukraine in the Tripartite Contact Group, his spokeswoman Darka Olifer said on 16 November. "Leonid Kuchma will remain Ukraine's representative in the Tripartite Contact Group [in Mins talks on Donbas settlement], and already on November 23 in Minsk to take part in the meeting of the group, that is going to focus on the discussion of issues of security and the release of hostages," Olifer said. According to her, the meeting, in particular, will discuss violations of the regime of silence and implementation of the TCG framework decision on disengagement. Ukraine's second president Kuchma has been representing Ukraine in the TCG on the peaceful settlement of the situation in Donbass region since July, 2014.